Looking to monitor your kids’ phone without spyware? 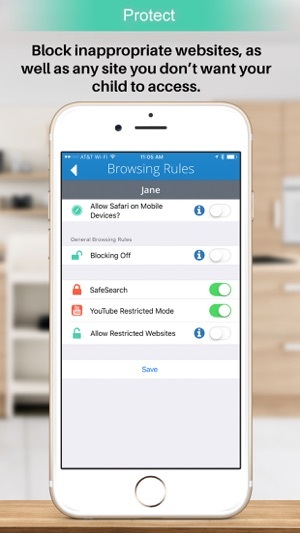 Forcefield helps you keep kids safe and connected on their devices without resorting to spyware. Forcefield is a collaborative tool that lets parents stay connected to their children’s online activity while respecting kids’ privacy. No text, email or phone monitoring. Forcefield is a parental control app designed to teach kids and teens how to self-regulate their online behavior with easy-to-use tools for both parents and kids. 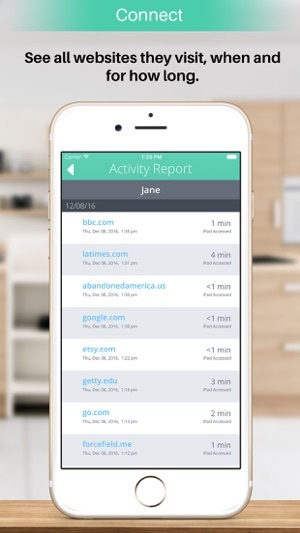 Remotely sleep apps on your kids' mobile devices on demand, or sleep them on a schedule. 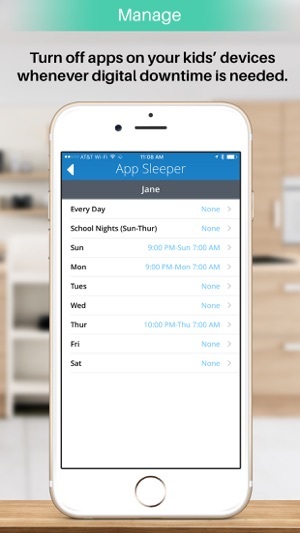 Create multiple app sleeper sessions per day to protect sleep, school work and any other time your child needs digital downtime. 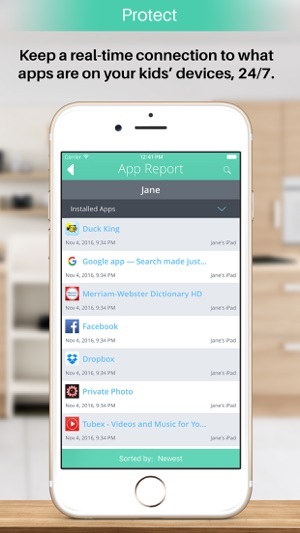 See all apps on your kids' mobile devices; receive alerts when new apps are installed. Use blocking to protect your kids from objectionable content. Lock in SafeSearch and YouTube Restricted Mode to help ensure safe browsing; block access to specific websites. See all websites your kids visit from multiple devices in the Forcefield browser. Forcefield offers a 30-DAY NO-RISK FREE TRIAL with access to all features. After the risk-free trial, Forcefield is $11.99 per month for one child and two parents. Each additional child is $3 per month. Parents can register unlimited devices per child without additional charges. Payment will be charged to iTunes account after the free trial. Please contact support@forcefield.me if you are experiencing any issues. We had issues with the system. We have two kids and at some point the webpages visited were switched on their accounts. He would use his phone to get on the internet but the pages he looked at were on her report. Then it wouldn’t let us unlock his phone giving us the error that he didn’t have the app loaded which he did. We had so much trouble, we ended up deactivating our account one week before the trial period was over only to find out today that they charged us anyway for the upcoming month. What’s worse is that we can’t tell them to fix it because the customer service is on their site which we can’t log into since we deactivated our account! Thanks for your comment. We did have a small group of users that were billed after canceling, but none of them signed up through the Apple app store. We also refunded all purchases that were billed in error, and have since corrected the issue. It also sounds like your kids may have figured out your password and switched their accounts on their device for the activity to be switched up like that. Thanks of the feedback. I can understand the want to keep tabs on your child but some things should be left alone or be managed in a better fashion I.e. photos. Let’s say the child has instagram. A better way to keep up with that is to get instagram yourself as a parent rather than getting it on your phone through other means. Same with Facebook or Twitter. By having it route through a separate app the children might see it as an invasion of privacy getting you on bad terms with them. I am perfectly fine with putting apps on sleep mode at certain times, but if you want to keep up with pictures or posts on social media just try following them on that platform yourself. Thank you for the comment. We appreciate it. 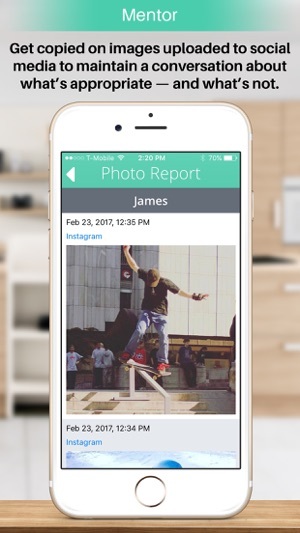 Forcefield offers the ability to see all activity from within our app, so you don't need to go to all of your kids' social media networks. It's all in one place. Discontinued immediately and STILL can’t get it off phone! We did not like how the app interacted with the phone and didn’t so what we told it to schedule-wise, so we discontinued our trial, uninstalled, and deleted the app. Nearly TWO MONTHS later, this app continues to shut my son’s apps off at 10:00 pm each night even though that was set as a school schedule and now he’s on summer break. It still notifies me every time he downloads or deletes an app, and I have been e-mailing support about this for weeks with no response. I’m very upset and will be looking into how to file a formal complaint with how this is messing with our systems now. Poor app and poor service.